Mm, it doesn’t look very mechanically strong, I could see the tip levering out of those clips quite easily with any modest side-load on the tip in the “wrong” dimension. An appropriate case design to provide more support would help I guess. This is similar to the design the TS100 uses for retaining the tip, except there the contacts also have screws that mechanically couple them to the metal case. Maybe some sort of retaining clip could be added to help here? 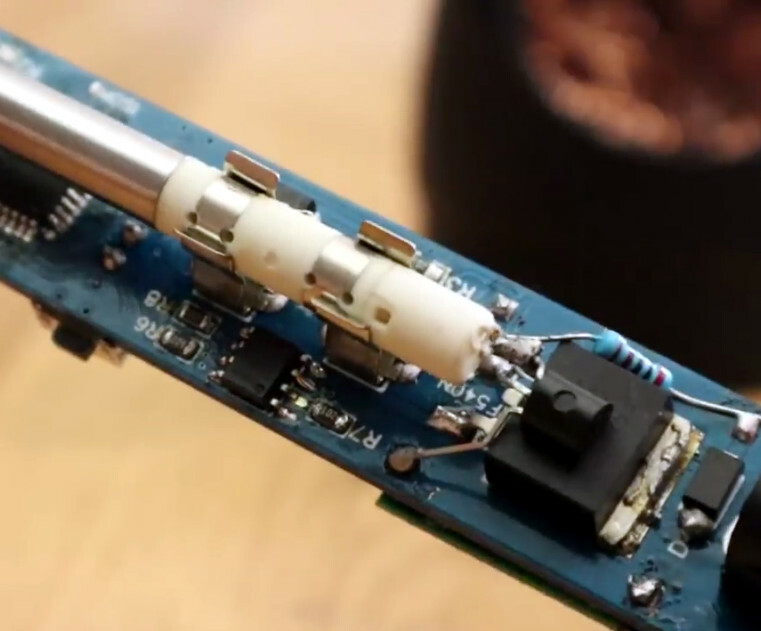 The new buck converter Electronoobs proposes to use barely works at 24V. You can solder bridge the right gap underneath the board for a 5V output. No need to faff around with the trimmer and glue although the option is there if you need a precise output. The cheapest and most popular power supplies available are 19V laptop chargers anyway. I think the channel you’re referring to is Onstate LED Lighting. Assuming Electronoobs is American (? ), this a classic case of stealing Chinese IP… hang on… what? They will be alright they can go and overfish somalia and create pirates out of people and sell the fish to the west.